Birthplace : Bayonne, New Jersey, U.S. The American musician, George Perle, was active in nearly all aspects of the field. Best known as a composer, he developed a convincing language that he called "twelve-tone tonality." He also wrote numerous articles and books and remained active as a teacher and pianist into the 1980s. George Perle was born in Bayonne, New Jersey, on May 6, 1915. His parents had emigrated to the U.S. from Russia shortly before his birth. He spent most of his boyhood on farms in Wisconsin and Indiana. While still a high school student Perle began his formal training by taking piano and harmony lessons at the Chicago College of Music. He continued in Chicago at DePaul University from 1935 to 1938, studying composition with Wesley La Violette. Discovery of the music of Schoenberg awakened him to new possibilities of sound organization, but it was Berg's Lyric Suite that, "like a revelation in the literal biblical sense, " affected him most profoundly. In the late 1930s he became director of the New Music Group of Chicago and, with composers Robert Erickson and Ben Weber, introduced many works, including several by Schoenberg, Berg, and Webern. Upon studying the serial works of these masters Perle felt let down by what he believed to be a lack of control over the harmonic dimension. He then began formulating the means of harmonic organization that would eventually appear in his book Twelve-Tone Tonality (1977). Perle studied composition with Ernst Krenek from 1939 to 1941 and received an M.A. degree from the American Conservatory of Music in Chicago in 1942. Perhaps his best known compositions from this period are the two Rilke Songs for soprano and piano (1941), composed according to his twelve-tone tonal method. After serving in the U.S. Army from 1943 to 1946, Perle accepted his first teaching post at the College of the City of New York in 1948. Positions at the University of Louisville (1949-1957) and at the University of California at Davis (1957-1961) followed. During this time Perle also studied with Curt Sachs and Gustave Reese at New York University, where he received his doctorate in musicology in 1956. In 1961 he accepted a post as assistant professor at Queens College of the City University of New York, where he became a full professor from 1966 into the mid-1980s. He also held visiting professorships at Juilliard, the University of Southern California, Yale University, the Berkshire Music Center at Tanglewood, the State University of New York at Buffalo, Columbia, and the University of Pennsylvania. One of three principles of organization distinguishes most of Perle's mature compositions since the late 1930s. Regardless of the principle, Perle's works tend to be fairly bright sounding, rhythmically complex, virtuosic, and tone-centered. The latter term refers to modern music that emphasizes one or more tones or chords, and yet does so without the triadic hierarchies producing the "gravitational pull" of the tonal music of the 18th and 19th centuries. A few compositions, however, such as the Variations on a Welsh Melody (1952) for band, are tonal. Perhaps taking a hint from Schoenberg's pre-serial, atonal works, Perle composed works that he described as "freely or intuitively conceived in a twelve-tone idiom that combines various serial procedures with melodically generated tone-centers, intervallic cells, symmetrical formations, etc." These works are most frequently scored for solo instruments and include music written up until the mid-1960s. Prominent are the following: Sonata for Solo Viola (1942); Three Sonatas for Solo Clarinet (1943); Hebrew Melodies for Solo Cello (1947); Quintet for Strings (1958); Sonata I for Solo Violin; Wind Quintet (1959); and Sonata II (1963); Monody for Flute (1960); Monody II for Double Bass (1962); Three Inventions for Bassoon (1962); Short Sonata for Piano (1964); Solo Partita for Violin and Viola (1965); and Wind Quintet III (1967). These smaller-scale and often monophonic compositions gave Perle an opportunity to develop some of the subtle rhythmic techniques that characterize his music. He wrote, "A rhythmic … ideal toward which I progress … was that of a beat variable in duration but at the same time as tangible and coherent as the beat in classical music, and of an integration between the larger rhythmic dimensions and the minimal metric units." A technique of "metric modulation" usually ascribed to Elliott Carter, but perhaps independently invented by Perle, furnished a means for controlling a variable duration of the beat in these works and, indeed, throughout his entire output. Metric modulation is accomplished by introducing a cross-rhythm (e.g., duplets or triplets) within an established pulse rate and then basing a new pulse rate on the altered note value. Contrary to general belief, relatively few of Perle's compositions adhere strictly to the serial method formulated by Schoenberg, the third string quartet (1947) being a notable exception. 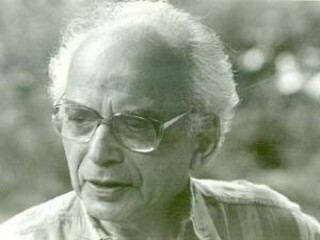 In later serial works Perle utilized extensions of the method developed by Milton Babbitt. The Three Inventions for Piano (1957), for example, are organized on the principle of "combinatoriality, " whereby the operations of transposition and inversion on the first half of the row (called a hexachord) produce a new hexachord containing the six pitches (or preferably "pitch classes") not included in the first. The total of the two hexachords then includes all the notes of the chromatic scale. Many of Perle's works after 1939, and perhaps all of them since 1968, are based on a twelve-tone method of his own devising, unique in that the row exists purely as precompositional matter designed primarily to control the vertical or harmonic aspect of the music. The row is constructed in such a way that, along with its inversion, the adjacencies of any particular note (axis-tone) in both forms will produce a four-note chord of the same intervallic structure. Adjacencies further removed from the axis-tone provide additional harmonic material, all of which can be emphasized by orchestral coloring and instrumental doublings. Prominent among compositions employing this twelve-tone tonality (or twelve-tone modality, as it is sometimes called) are the Rilke Songs (1941); Rhapsody for Orchestra (1953); the Fifth String Quartet (1960); Three Movements for Orchestra (1960); Toccata for Piano (1969); the Seventh String Quartet (1973); Songs of Praise and Lamentation (1974) for mixed chorus a cappella; 13 Emily Dickenson Songs (1978) for soprano and piano; A Short Symphony (1980); and Ballade for Piano (1982); the Wind Quarter Number 4 composed in 1984 and the winner of the 1986 Pulitzer Prize Sonata Ã cinque (1986), String Quarter No. 8. dating from 1989 and titled Windows of Orderand Sinfonietta II. In addition to his wide renown as a composer, Perle was a distinguished musical scholar and theorist. Serial Composition and Atonality (rev. ed. 1977) is a standard text on the music of Schoenberg, Berg, and Webern, and Twelve-Tone Tonality (1977) has become an important contribution to post-Schoenbergian twelve-tone theory. The Operas of Alban Berg. Vol. I: Wozzeck and Vol. II: Lulu (1980, 1985) establish him as one of the world's foremost Berg authorities. The latter book contains his rather sensational discovery of Berg's secret love affair, encoded in the notation and text of the opera. Perle was also a co-founder and former director of the International Alban Berg Society. He received numerous honors throughout his career, including Guggenheim fellowships (1966, 1974), membership in the American Academy and National Institute of Arts and Letters (1978), three Deems Taylor awards for various writings including his book on Wozzeck, the Kinkeldey award of the American Musicological Society, the Pulitzer Prize for Music (1986), and commissions from the Fromm Foundation, Koussevitzky Foundation, MacArthur Foundation, and National Endowment for the Arts, among others. Perle was honored in 1991 as he and his pianist wife, Shirley Rhoads, wound up their three-year residency in San Francisco, where Perle had officiated as an unusually popular composer-in-residence with the San Francisco Symphony. In appreciation of his residency, the orchestra honored him by proclaiming a George Perle Week in February of 1991. The honorary week followed shortly after Richard Goode had played the world premiere of Perle's Piano Concerto and it embraced the first performance of Perle's Sinfonietta II along with a varied program of four chamber works. View the full website biography of George Perle.